Hi best friends! I know last week I said this week’s “Transitioning into Fall” would be fashion related but this weekend I couldn’t find anyone to help me shoot photos & honestly I just wasn’t feeling inspired. The weather was perfect and all I wanted to do was light some candles, open a window, & enjoy a cup of tea and a good book. So that’s what I did. Only I bought some candles too. 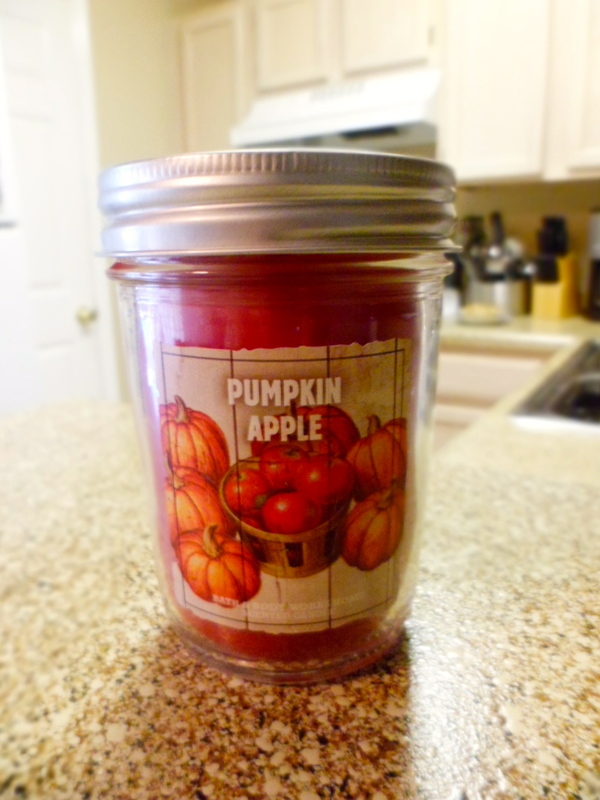 I tried to use up all my Fall candles leftover from last year before I even entered Bath & Body Works this year. I had a plan you guys. And for the most part I stuck to it. I smelled & sniffed ALL the candles in that place. Literally every single candle, I kid you not. I have a witness. I thought the big 3 wick candles were still 2 for $22 but apparently I missed that sale (but the saleslady assured me it’ll be back VERY soon.) So instead, I got suckered in to the mason jar candles. Y’all…they live in mason jars. How kitschy right? Personally, I was very shocked at my choices this year. 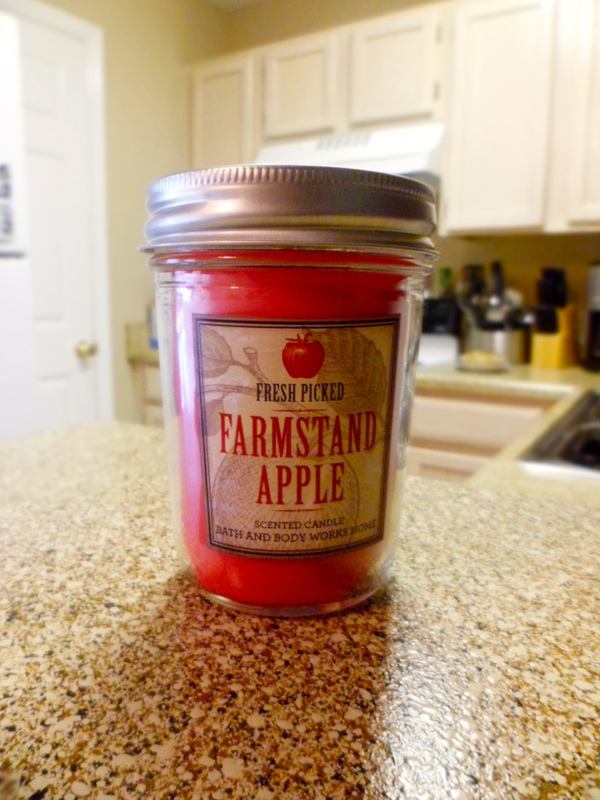 I usually stick to my Fireside or Spice scents but this year I was really drawn to apples & pumpkin. I ended up going home with these guys. This smells like pumpkins and apples had babies. Delicious. Again with the apples…this makes me feel like going apple picking. 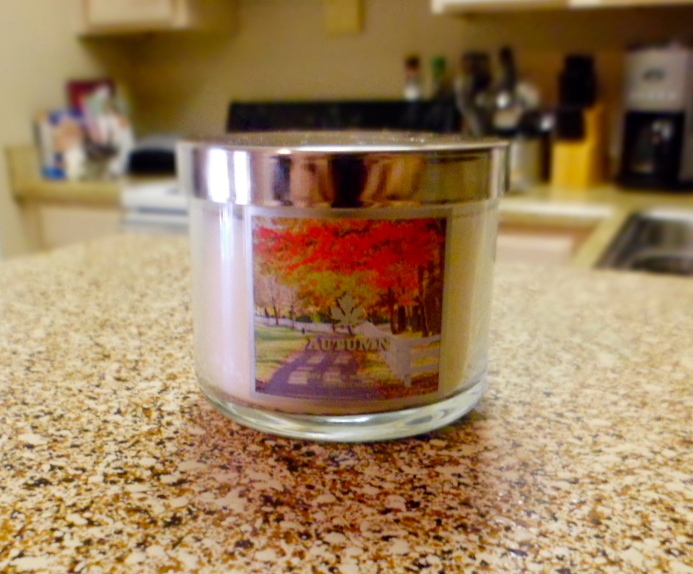 This little dude was FREE with purchase & was my favorite candle scent from last Fall. Also guys…I broke down and got the travel size of everything in the new Amber Blush scent collection. It’s a very sophisticated yet subtly sweet scent and is definitely my favorite new launch B&BW has done since Cashmere Glow last year. I’m so ashamed…but it smells SO GOOD!